Looking for a healthy, low Freestyle point appetizer? Well, here is a scrumptious recipe to make and enjoy at your next party! 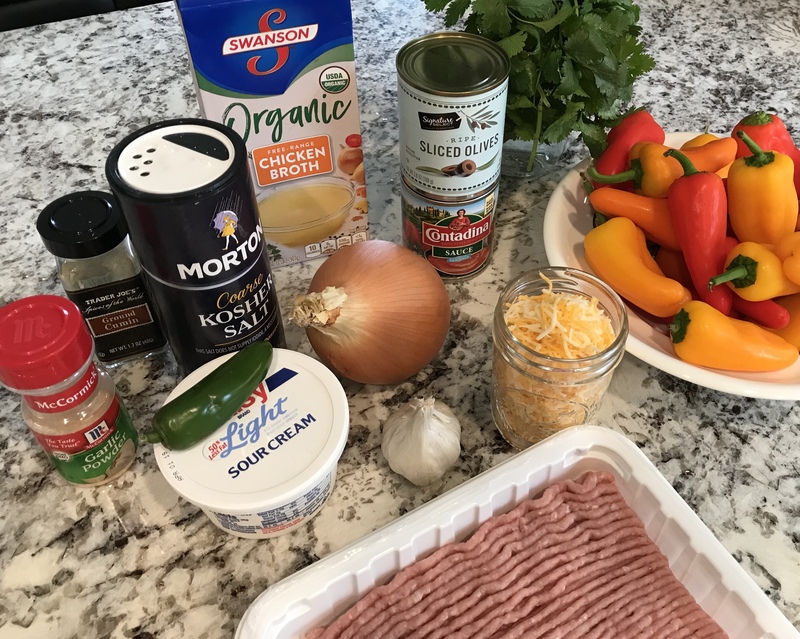 What I love about this recipe, besides the flavor and low points, is that you can make the meat filling ahead and you can adjust the heat with the addition of the jalapeño peppers. 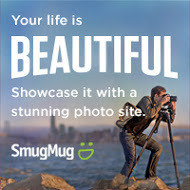 Oh, and the colors are simply beautiful! 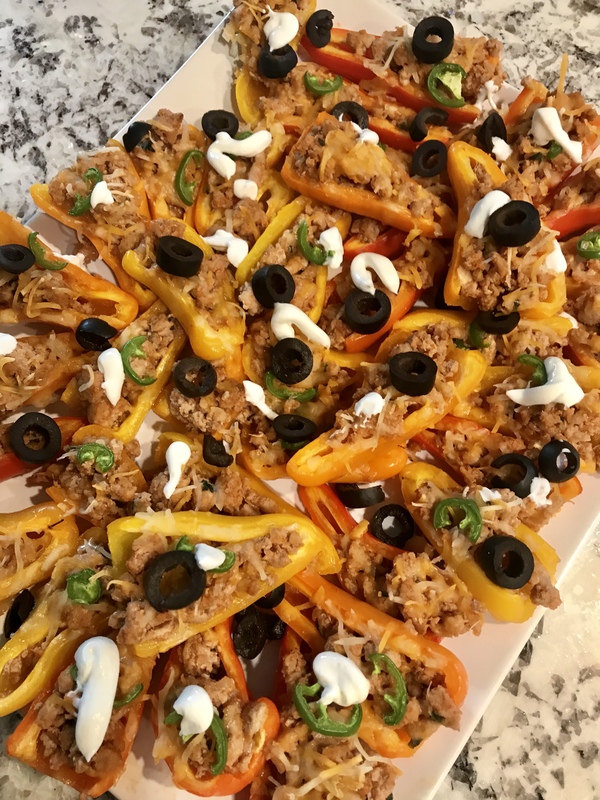 Depending on the amount of sour cream you enjoy (keep it moderate) these beauties are roughly five Freestyle points for seven stuffed mini bell peppers. Seven! 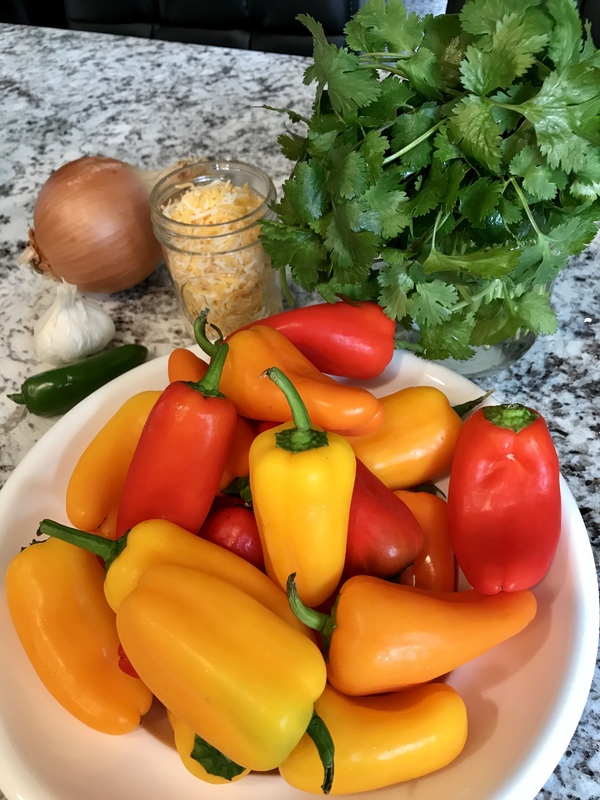 That makes this stuffed mini bell pepper appetizer recipe a keeper. Preheat oven to 400 degrees. Line a large baking try with aluminum foil. Lightly spray pan with olive oil spray. Add oil to a nonstick pan and heat over medium heat. Sauté diced onion, garlic, and cilantro for about two minutes or until onion is translucent. 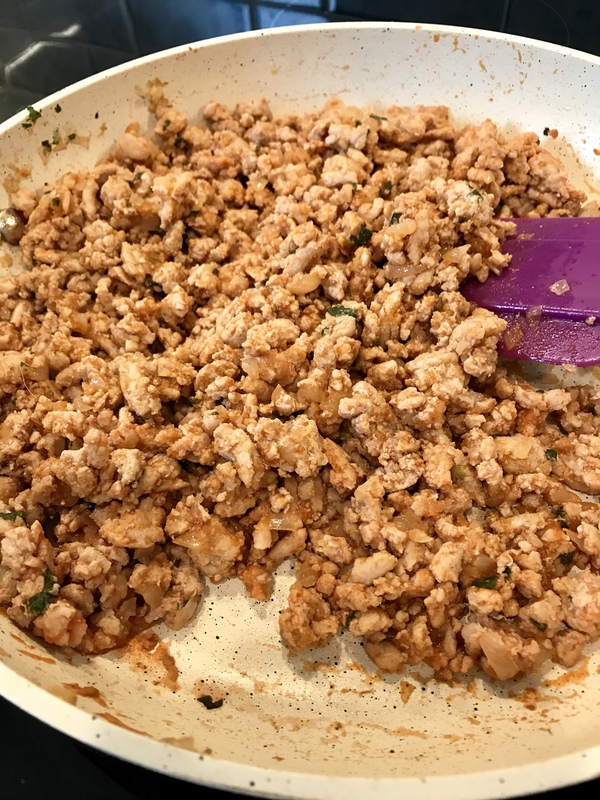 Add ground turkey, salt, garlic powder, cumin and cook meat for 4 to 5 minutes, toss and turn meat as needed until meat is completely cooked through. Add tomato sauce and chicken broth, mix well and simmer on medium heat for about 5 minutes. Once cooked, allow meat to cool a bit. 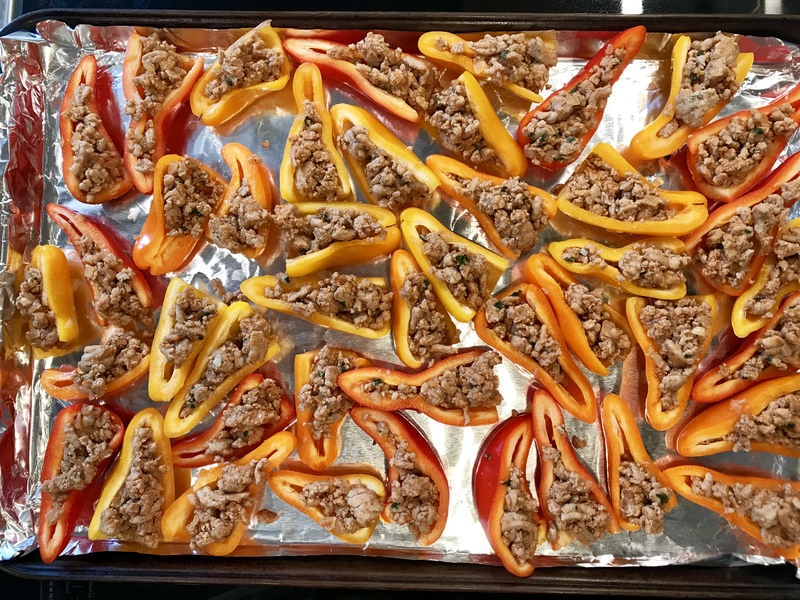 While meat is cooking arrange peppers cut side up onto prepared baking tray. 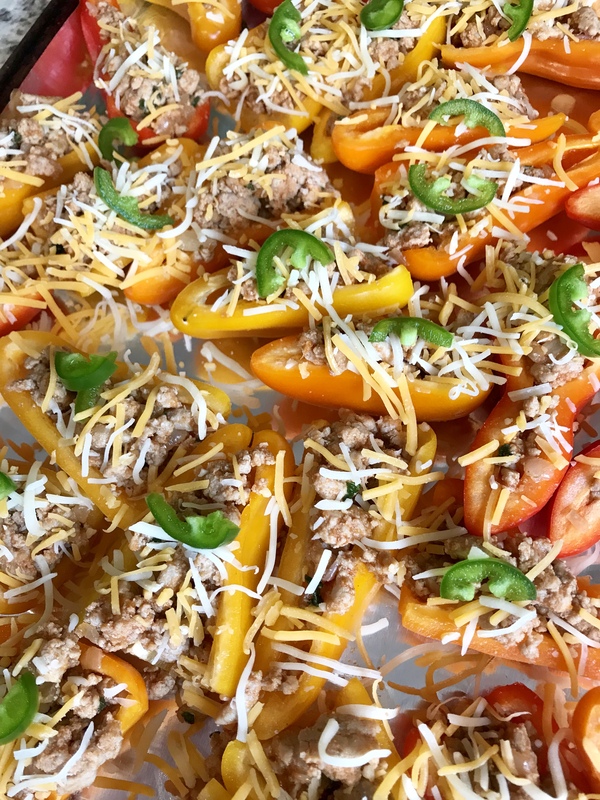 Using a spoon, scoop cooked turkey meat into each mini bell pepper. 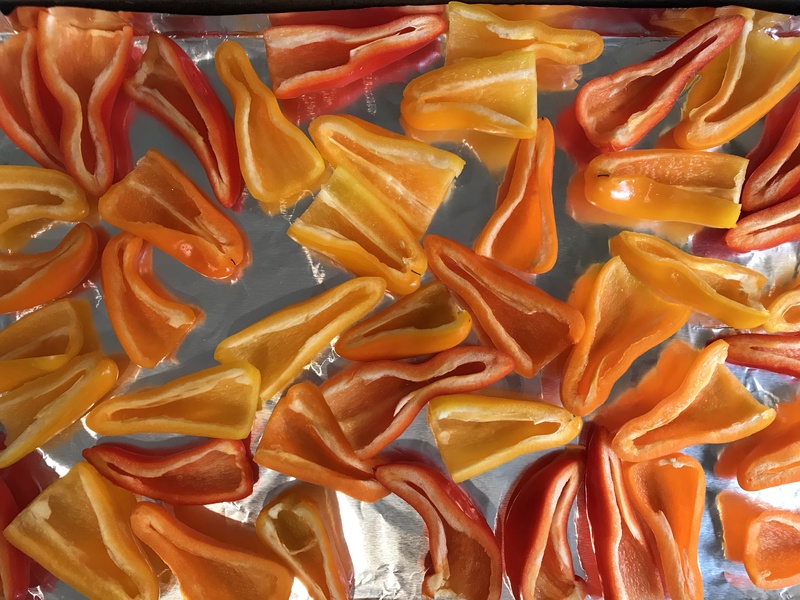 Placing peppers close together helps them stand up straight. Sprinkle shredded cheese on top and add sliced jalapeño to about half of the peppers. Remove from oven and top with black olives. Dash a bit of sour cream on some of the peppers. Once cooked allow meat to cool a bit.